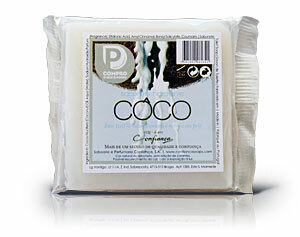 Soap with the exotic scent of coconut. No dyes. Made exclusively with coconut oil. Without any type of colorants or preservatives, this astonishing coconut soap is the perfect and trustworthy "friend" to use in the bath. 100% natural base. Softens and nourishes your skin. Cocos Nucifera Oil; aqua; Sodium Hydroxide; Fragrance; Etidronic Acid; Amyl Cinnamal; Benzyl Salicylate; Coumarin.